Statistics show that school bus travel is one of the safest forms of transportation. 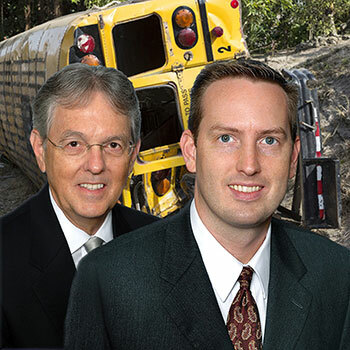 You hear very little about school bus accidents because for the most part they are safe. Thanks to all the caring people who do their best to protect our children so they can get a good education and learn to work and play with others. Just about every family in America relies on this type of transportation for their children. Safety and being on time are top priorities. We believe there are very good people that help maintain and drive these school buses. If there is an accident it is not necessarily the drivers or mechanics fault, it could be a defective product or possibly maintenance was delayed because of a budget cut or some other neglect. And of course there are the other drivers who may be neglectful and cause a serious accident. We hope to never see another school bus accident but as we all know, accidents do happen. And even though not intentional, driver fatigue, driver distractions or a mechanical error can happen. 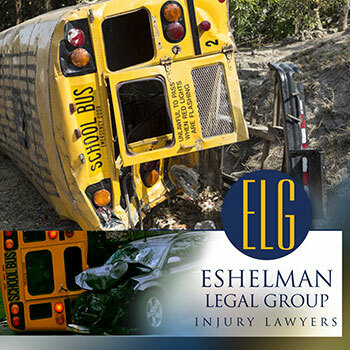 If you have children or know of other family or friends that have had their child or children in a school bus accident, we are here to help. We know that the insurance companies will try to minimize each case. That is what insurance companies do. Our job is to help you get the maximum amount for your injuries. Medical bills are skyrocketing. Injuries can linger and get worse over time. You will need money during the recovery time no matter how short or long that time may be. It is not greed, it is a necessity for your family. You did not cause the accident, you are now the victim and you deserve a full and total compensation. You may not be the fighting kind. You may not have the time to devote to such a fight. We will fight for you. We understand Ohio Injury law, we understand insurance companies and we understand the court system. Remember, we have been helping people like yourself for over 40 years right here in N.E. Ohio. We know we can help you as well. "We'll Make Things Right"
We have over 40 years of experience helping injured victims. Our law firm is well respected in the Ohio court system. We research each case for past results of similar cases in Ohio. We are up to date on Ohio injury law, We know what information and documentation we need from you to help your case. We know how the insurance companies work. It is in your best interest not to wait to long. Bring your case to our legal professionals as soon as possible. Time is not on your side. Ohio has strict time limits. It is best to get your case documented as soon as possible. 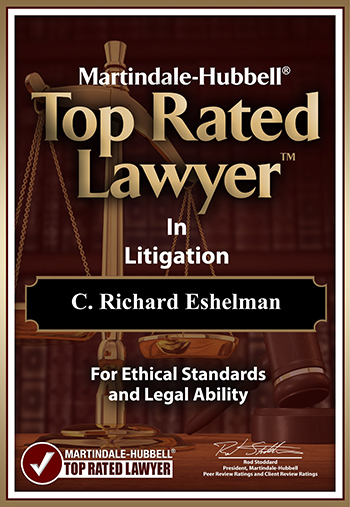 You do not have to settle right away but you should document your case with the Eshelman Legal Group as soon as possible. Allow our law firm to work with you each step of the way, collecting all the necessary information. We will guide you on what to do. We will keep you posted on the progress of your case as well. Your mind will be more at ease knowing that the legal aspect of your injury case is being handled by a reputable experienced law firm. You can focus on getting well or helping your loved one get well. We welcome your questions or concerns. If you or someone you love has been seriously injured, please do not wait another day. Call us today at 1-800-365-0001 to see if your case qualifies for legal action. Ask yourself this question… who does the insurance adjuster work for? The adjuster works for the insurance company, they do not work for you.